1. Cream the honey, butter and vanilla together in a bowl. Beat in eggs. 2. In a separate bowl, stir together the remaining dry ingredients with a fork. Slowly add dry ingredients into the honey-butter mixture to form dough. 3. Lift dough out of the bowl with floured hands and form a long, flat, rectangular loaf that's about 1/2" tall, 5" long and maybe about a foot long. 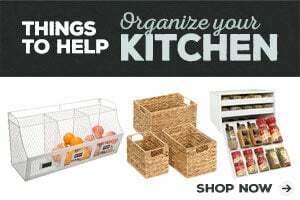 Lay it on a baking sheet lined with either parchment paper or a silicon baking mat. 4. Place baking sheet on a rack about 3/4 towards the top of the oven and bake at 325˚ for 35 minutes. 5. Remove from oven and let cool for about 15-20 minutes then using a serrated knife, gently slice into 1" slices all the way down the length of the loaf. Place slices back onto the baking sheet and bake for an additional 10 minutes on each side. 6. For the icing, place chocolate chips in a glass bowl and microwave for 30 second increments, stirring in between until chocolate is melted. Add honey, microwave one last time then scrape melted chocolate-honey into a plastic baggy. (I placed the baggy into an empty mug and folded it over the rim of the mug to make it easier to scrape the chocolate in). 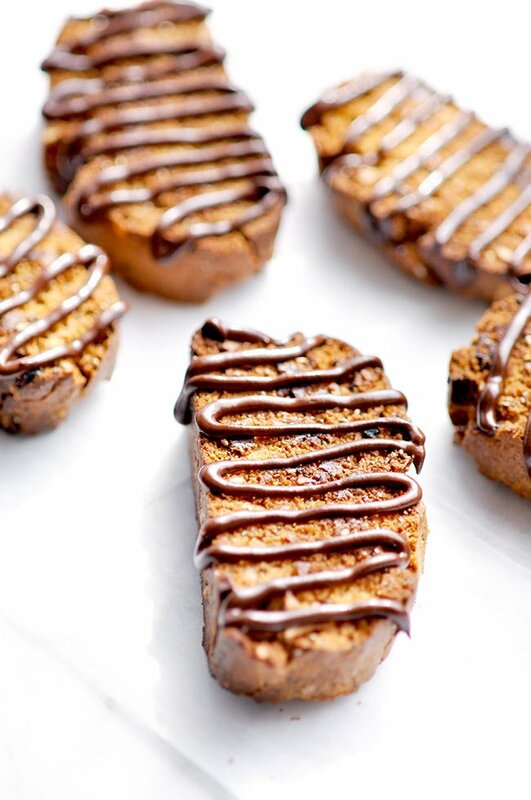 Cut a tiny hole in the corner of the baggy and then squeeze in a zig-zag motion to form the chocolate icing piping on top of each slice of biscotti. Serve warm or let chocolate harden and then store for later! Coffee is pretty much the nectar of life. Not being dramatic. There are very few things in life that I love more than my morning cup of coffee. ☕ In fact, most days it’s necessary. Just ask Aaron… or my kids… or my mom… or anyone who attempts to talk to me before coffee. It can sometimes be, well… not very pleasant. Words tend to be grumbles, loud noises make me cringe and my eyes may not really be all the way open until that warm cup of Joe so sweetly touches my lips. If you’re anything like me then you’re going to want in on this coffee game changer. 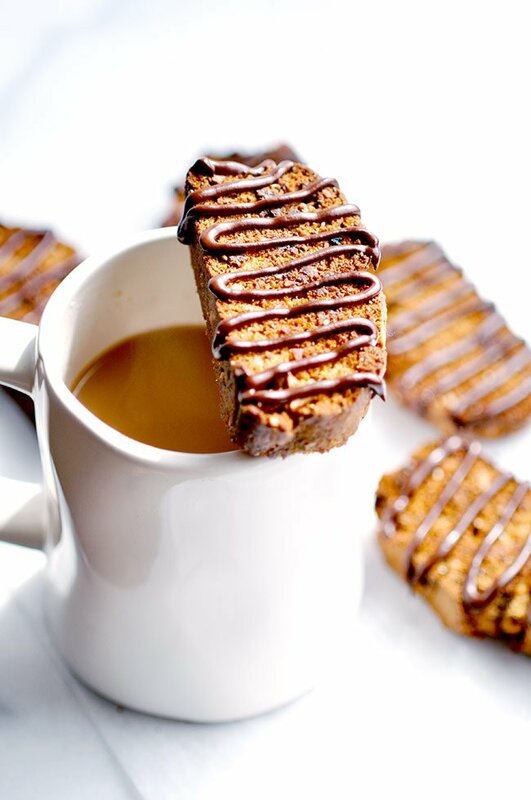 It’s this thing called biscotti. Maybe you’ve heard of it? 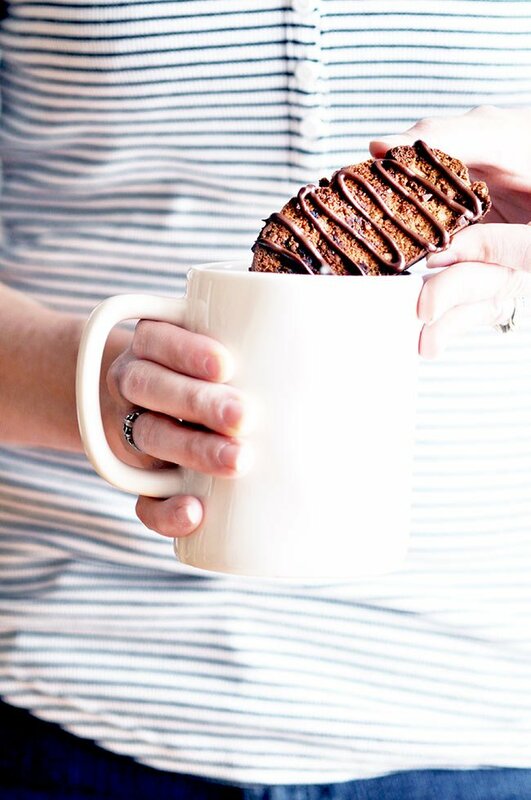 😉 It’s perfectly shaped and baked specifically to dunk-soften-enjoy-repeat until 100% morning satisfaction is achieved. Home biscotti? Is that even possible? Sounds hard. So, yesterday was my first attempt at making homemade biscotti. I think they came out pretty awesome and were easier to make than I anticipated. The process took some time, but wasn’t labor intensive. They just have to bake for awhile to get to that crunchy, dippable sweet spot. Next time, I would shape them a bit differently—longer—so I’m writing up the recipe the way I would do it next time. I adapted a recipe from Pinch of Yum, and added in some chia seeds for added fiber. You can’t really taste them but the little seeds do look cute and apparently fiber is important in your 30s! 🙂 I love how the honey replaces sugar in this recipe and the almonds add some protein. Dark chocolate because that actually does have some health benefits and a mixture of whole wheat flour and white so there’s a good balance of health and flavor. It’s all about balance, friends. Life, food, everything. Chocolate, almonds and honey? I vote yes. I went with a can’t-go-wrong combo of chocolate, honey and almonds but the flavor combinations of biscotti are limitless, really. So, I’m kind of excited to try some different flavors now that I have the process down. Stay tuned. There may be more biscotti recipes in the future. 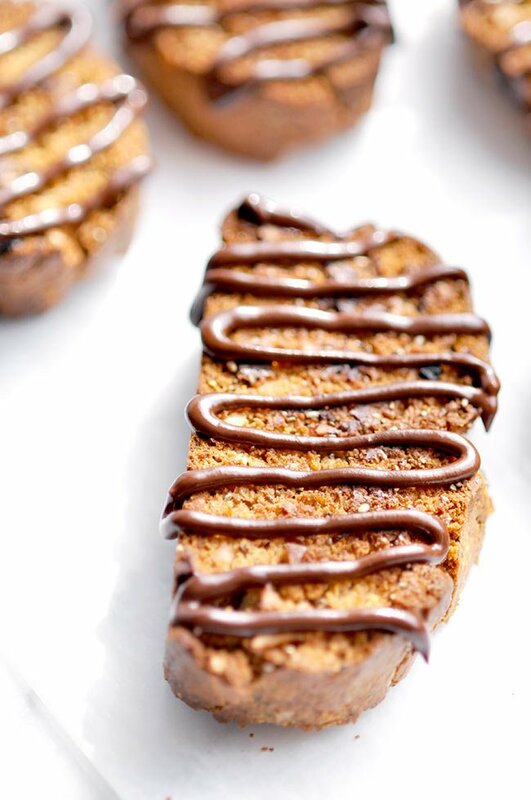 This chocolate honey-almond biscotti recipe was featured as on Inspire Me Monday delicious breakfast recipes!